Just before I left Japan, I wandered in to Shibuya to catch up with Alex and Elizabeth, who had added a side trip to their journey back to Canada (from Perth) in order to see me. After wandering around Tokyu Hands for a little while, we found our way over to Vegan Healing, a tiny cafe just around the corner. It had a PeTA van out the front, and was filled with notes about rallies and things. The menu itself is pretty brief, and is available in both English and Japanese. Both Alex and I went for the tempe sausage. This was served with a chickpea sauce, and rice and vegies, and was delicious! The flavour was very subtle and understated, but I really enjoyed it. 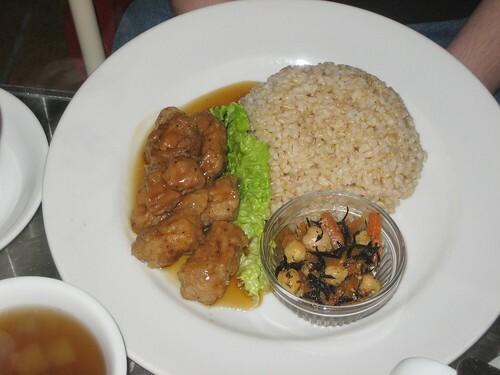 Elizabeth picked the fried soy meat, which was a bit like a deep fried mock chicken. It came with a delicious little soup. I have to admit to being a little jealous of this meal, it had a lovely flavour. Prices were not too bad, and the service was good. I also bought some cookies, but they were rock solid. Sad! But overall a good experience. Go to Japan, eat Mexican food? Otis is this adorable live music venue just south of Peace Park in Hiroshima. It's been open for 23 years, and for the first few years people used to draw on the walls, including this giant piece by some guy from Pixar (whose name escapes me now). It's a really fun place, and they serve vegan cake! 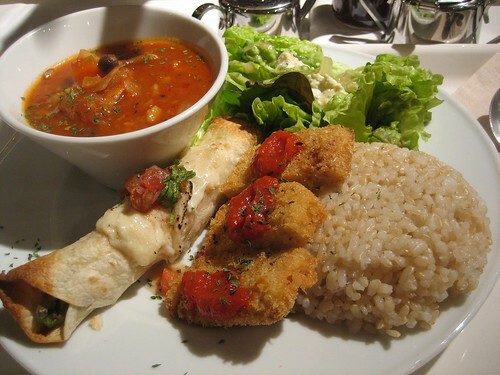 It was a cold day, as were all the days in Japan, so I went for a delicious spicy soup, served with salad and bread. They all knew what vegan meant, and I wish the photo of my cake had turned out so you could see that instead of being served with ice cream, it was served with cubes of frozen mango. Brilliant! Located on the same street as Mikoan, we found Ajanta when we were hungry and couldn't find anywhere else to go. Ajanta is a tiny Indian restaurant with both English and Japanese menus, and lots of Bollywood movies being played on their tiny television screen. We went in to Ajanta on a whim, and I was glad that we did. Ajanta had an entire giant vegetarian section, and the waiter was excellent about telling me what had cream or yoghurt or ghee, and what I could and couldn't eat. They also were very accommodating of Josie's nut allergy, and the fact that I kept asking one million questions. 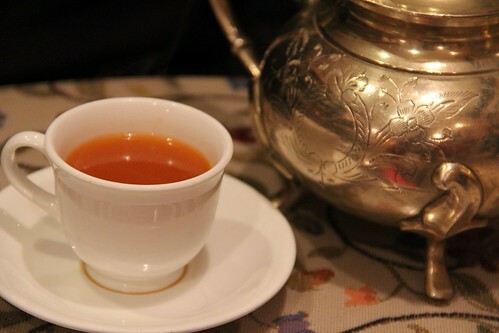 We started with a carrot and tomato soup, poured out for us from a teapot and served in dainty tea cups. This soup was on the house, and it was delicious! It was a great way to start the meal. 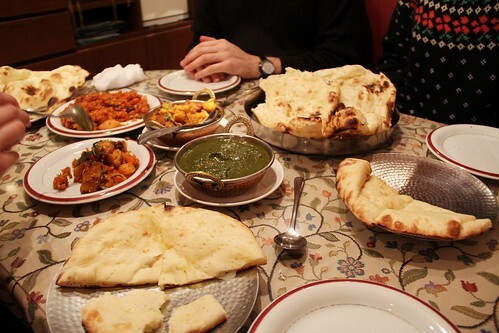 We ordered an assortment of dishes to share, as well as the world's most giant pieces of naan. The smallest of these naans was the cheese naan (not vegan), which was the size of a small pizza. The largest of these was the plain naan (for me), which was about the size of my MacBook. With all these naans, the table became very crowded. We ordered a vegetable biryani which was coloured a brilliant red, and which made an excellent breakfast the next morning; a cauliflower and potato curry; an aloo palak, which we ordered because we desperately wanted some spinach; and a mixed vegetable curry with a bit of bite. The service at Ajanta was delightful, and though it proved to be one of the more expensive meals of our trip, it was no less fabulous for it. I got to spend some time in Kyoto, which I absolutely loved. One of the things I enjoyed most whilst I was in Japan was wandering around the temples and shrines in Kyoto. It's always lovely for me to visit the Buddha, just saying hi and stuff. I even got to visit the 1001 Buddhas at 三十三間堂. The temple is dedicated to Kannon, who is the Japanese incarnation of my favourite lady Kwan Yin. The temple isn't just home to Kannon, though - aside from the 1001 statues of Kannon, there's also a number of guardian deities, with their familiar grumpy faces. I had hoped to visit a temple with attached shuojin ryori restaurant, but alas a look at the Vegan Pocket Guide revealed that they were all at temples that we weren't visiting. 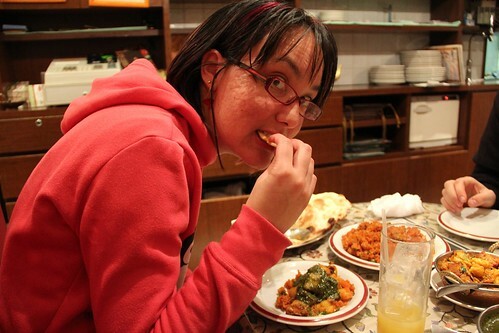 Fortunately for us, Mikoan, a strict vegetarian shuojin ryori restaurant run by two ladies, was only a short walk from our hostel. We booked in advance for Mikoan, and after a brief rest from all that walking and a quick visit to the most eighties onsen ever, we walked on over for dinner. I do recommend booking in advance, as the restaurant is tiny (it seats maybe eight people, and is like sitting at someone's breakfast bar in their living room). I asked one of the people at reception in the hostel to make the booking for me (my spoken Japanese is desultory at best, though my reading is better than I thought it was). All four of us ordered the set plate (1000円), and somehow managed to all be served completely different things, sticking mostly (I think) to the five colours five tastes principles of Japanese Buddhist food. The entire meal was a delight. There was an assortment of fried things, and vegetables, and the most delicious soup to accompany it all. Afterwards, we met the resident cat, with whom Josie fell in love, and who was very adorable. I had this great plan! We were all settling in to our next hostel, and then we were going to go on an adventure, for vegan noms. Alas, after we navigated our way to Loving Hut in Shinjuku (just near the Yotsuya Sanchome Station), we discovered that it was randomly closed just for the evening! Fortunately, though we were tired and it was dark, I had developed a backup plan: Pure Cafe, located inside the Aveda store in Minami Aoyama, very close to Omotesando Station. Pure Cafe is this tiny little vegan cafe which does breakfast, lunch, dinner and snacks, and also sells some groceries and vegan canvas bags (as well as some vegan yoga gear). The menu is not extensive, but it is delicious. Each day there is on offer about six or seven dishes, and you get to pick about three of them, depending on which option you go for. They also sell some delicious cakes for take away, which I did, stocking up on fig cake and banana cake to take to DisneySea the next day. I went for the daily deli plate, which was 1500円. 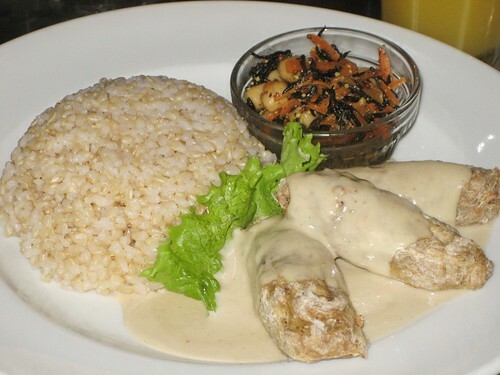 I selected the crumbed tempeh, with the enchilada and the minestrone soup. This came with brown rice and a fresh salad. This whole selection was amazing. The crumbed tempeh was made specially (as Josie had requested it nut free, and it is apparently usually almond crumbed), and it was very delicious. The batter went perfectly with the tempeh flavour. The enchilada was filled with a tomato and avocado and bean salsa, and was similarly amazing. The minestrone was also really good, made even better when I mixed my rice in to it. Go left out of the exit (heading down Aoyama Dori), then take the first left down a little street (but not a tiny alley). 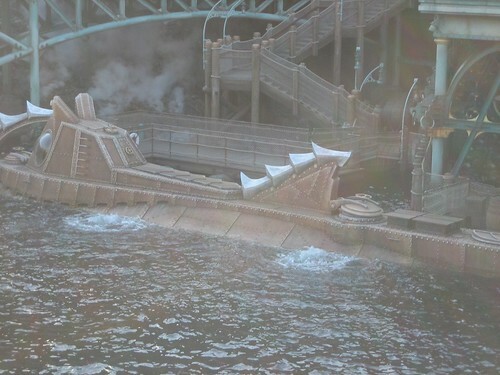 Hey so whilst I was in Japan I went to DisneyLand and DisneySea. It was super awesome. There was a volcano in the middle of an island, and a roller coaster came out of it, and there was a 20 000 leagues under the sea ride, and it was very steampunky, and there was a Monster's Inc. ride, and I bought a ridiculous hat, and it was all very exciting. 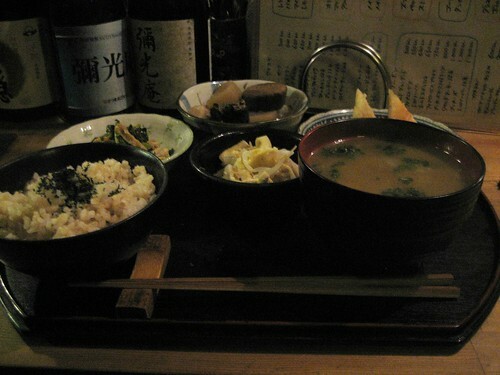 I had prepared in advance, food-wise, with onigiri (more on that later) and a big breakfast. I've been to very few theme parks, and I was advised by experienced park goers that vegan food would be thin on the ground. Usually in Australia, I'd assume that I could at least have chips; however I had noticed as I wandered around Japan that this was not often the case, so I didn't want to take the risk and stocked up on delicious onigiri. I was therefore delighted to find that the Disney Park Guides have a little column for vegetarian food, and where it can be found, where vegetarian means 'no eggs, dairy, meat or seafood but does include garlic and onion.' I am not Jain, so this was super okay by me. Granted there was only one restaurant in each park that had this option, but it was a sure option! At DisneySea, this restaurant was Ristorante di Canaletto, next to the Gondolas, in "Venice." The service here was lovely, the wait was not too long and we got blankets (for sitting outside at less than 10C), and my pasta was quite tasty! That's it featured above, with the eggplant. Someone very important (or so we guessed - she was the only person in a suit and not a uniform) came out to reassure me that my food would be completely vegan and totally suitable for me, which was kind of cool (and way more reassurance than I had needed, but I really appreciated it). At DisneyLand, the restaurant we went to was the Eastside Cafe, in the World Bazaar. 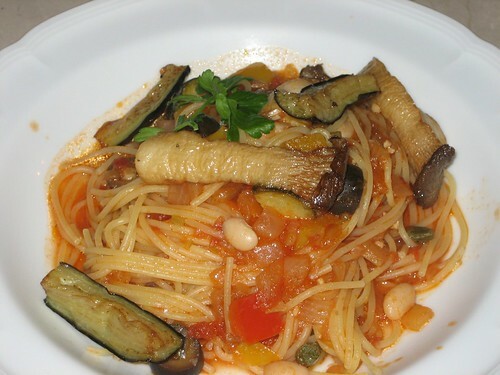 I was worried, because it was all set menus, but there is a little vegan set menu with a surprisingly tasty green salad and a garden vegetable pasta. The pasta was nothing exciting but again, it was definitely vegan, and it was nice to be inside from the cold, and off my feet. Don't believe the website, though - it is not a leisurely meal, we were whisked away as soon as possible, to clear up the table for someone else. Disney: it was fun, and tasty! I was cautiously excited about both seeing snow for the first time, and learning how to ski in Japan. Through my hostel I was enrolled in ski lessons with Evergreen Outdoor Centre, and they were excellent teachers. I had lots of fun! What was also exciting was the news that there was a vegan cafe right next door to the ski school! 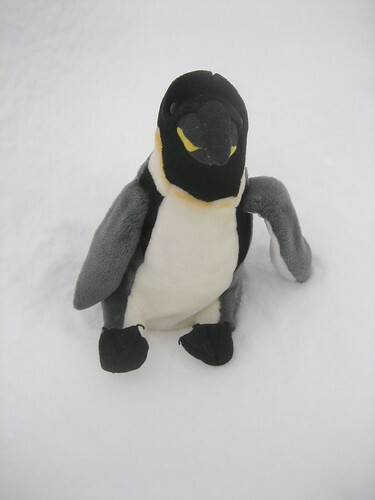 I knew about it even before I left Australia - traveling companions Josh and Josie were already at the snow, and emailed to let me know that they'd eaten there, and that it was delicious. 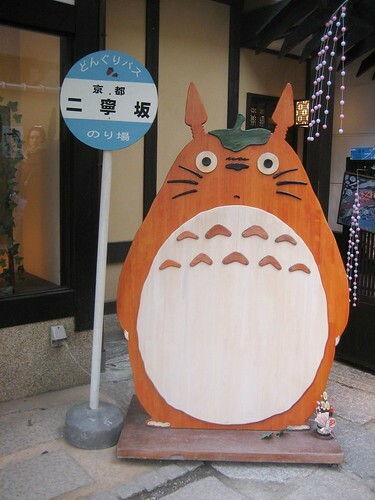 I visited Roots twice during my stay in Hakuba. Being situated next to the ski school but not next to much else, it was only open during the day, so lunch was my only option. I ordered the same thing both days, not because the other options didn't appeal to me, but because I desperately wanted rice and curry. 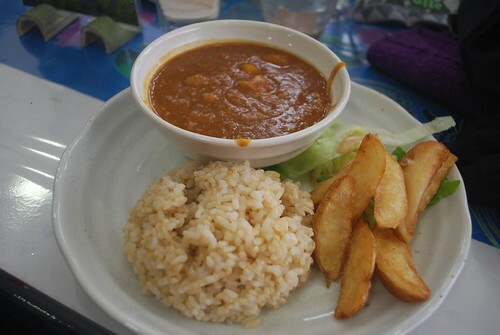 The curry was simple but really flavoursome, and filled with carrots, potatoes and enoki mushrooms, and served with a salad and some potatoes. On my second and final visit I also purchased one of every type of baked good in the cafe. I did manage to also sample a few of the wraps - the soy chicken wrap in particular was incredibly delicious, and the falafel wrap was also pretty good! Prices were good, and the service was okay, though they were always incredibly busy which may account for some of that. Although the cafe is vegan, they do serve cow milk, so make sure you specify when you're ordering your beverage. One of the things I had in the back of my mind going to Japan was how difficult finding food was going to be, so I had a few back up options to hand. Thanks to just about everyone, I was aware of the food opportunity that Mos Burger was going to be offering me, so it was with great excitement that I viewed the giant M out the window of my bus on the way to the snow. Unfortunately, it was some distance from my snow town, and so it was not until some time later that I managed to find my way to a Mos Burger (coincidentally, the same Mos Burger that Cindy and Michael visited in Roppongi). 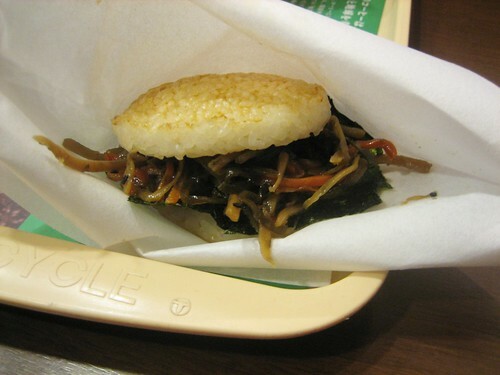 The kinpira rice burger is tiny, but sufficiently filling (particularly when paired with a little bag of chips). Less of a burger, and more of a large dollop of fried noodles, carrots and nori pressed between two rice patties, this burger is unexpected but delicious. It reheats well, which is unsurprising, given its composition, and is not too expensive. Mos Burger was good for a quick meal, especially for the unsure vegan, and is easy to spot with its distinctive M featured on google maps, if you zoom in close enough. Also travelling companion Amanda picked up a blanket with a hamburger on it for her housemate, which was exciting. 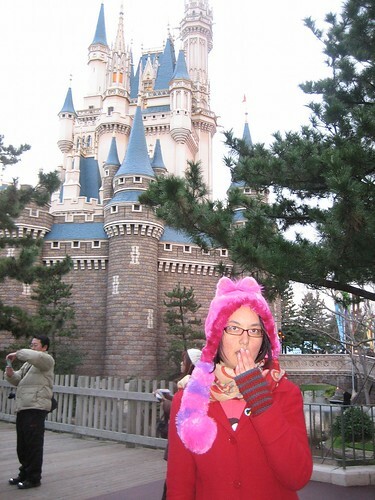 Blog world, I have not forsaken you; I am currently in Japan and have been too lazy to write. But fear not, I will have lots of food to blog about soon! And also lots of woes about accidental shrimp (there has been some surprise shrimp).